structures played an important role in the origin of life. Dr Nick Lane, in his remarkable book Life Ascending: the Ten Greatest Inventions of Evolution, gives a intriguing view of what the first living organism may have been like. 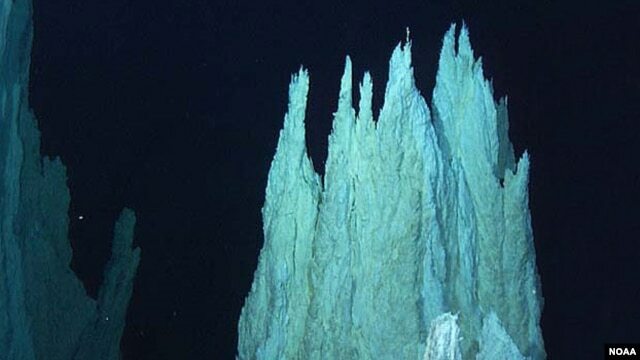 This was, effectively, a deep sea hydrothermal vent with the properties of life. Of course life today is cellular. Therefore if Dr Lane's scenario is correct then that poses the question of how that life form continued to generate energy considering that it was no longer plugged into the Earth's mantle like the labyrinth of mineral cells. Today cells use a complex chain of enzyme-aided reactions designed to generate ATP, adenosine triphosphate, the basic energy storing molecule common to all groups of organisms. The actual process boils down to pumping protons across a membrane containing these proteins. In complex cells, the eukaryotes, membranes are contained within mitochondria. In simple cells, the prokaryotic archaea and bacteria, the actual cell membrane itself is used. What is interesting is that the bacteria and archaea, despite having a common evolutionary heritage, have very different cell membranes. This begs two questions: why is the same bizarre method of energy generation used by all cells (in essence how did it evolve) and why are bacterial and archaeal cells membranes so different, despite using the same energy generation method which evolved in the same common ancestor? A study investigating how membranes have changed over time, led by Dr Lane himself, has helped provide answers to these. It suggests that the ancestor of all life on earth, LUCA (Last Universal Common Ancestor), had a leaky cell membrane, allowing it to continue to make use of natural proton gradients whilst still holding together its various components. Then as LUCA's descendants diversified into environments with different chemical conditions, evolution led to the creation of cell membranes with different properties, resulting in one of the many divisions between bacteria and archaea. In the deep oceans around hydrothermal vents natural proton gradients existed thanks to the chemistry of the water and its interplay with the vent products. All LUCA had to do was tap into this free source of energy. To move away from the vents across the rest of the Earth, where proton gradients were not naturally available, required the development of non-leaky membranes. By adapting the membrane to pump protons out of the cell and then developing non-leaky membranes so that the only way for the protons to return to the cell was through energy-generating protein. This occurred independently in two groups of LUCA's descendants, the forerunners of the bacteria and the archaea. This explains why membrane bioenergetics are universal in archaea and bacteria, yet ion pumps and membranes are different in both groups. 'I find this work just beautiful,' concluded Dr Lane. 'It constrains a sequence of steps going from the strange cell that seems to have been the ancestor of all life today, right through to the deep division between modern cells. From a single basic idea, the model can explain the fundamental differences between bacteria and archaea. Is it right? I'd like to think so, but more importantly, it makes some clear predictions that we plan to test in the future.' Beautiful indeed.